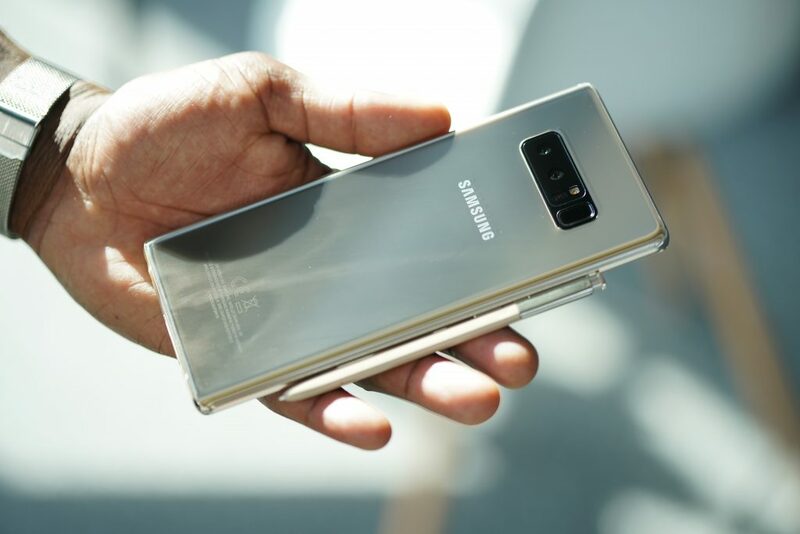 The new Samsung Galaxy Note8 is here, and we go hands on with Samsung’s best device for productivity and creativity on the move. 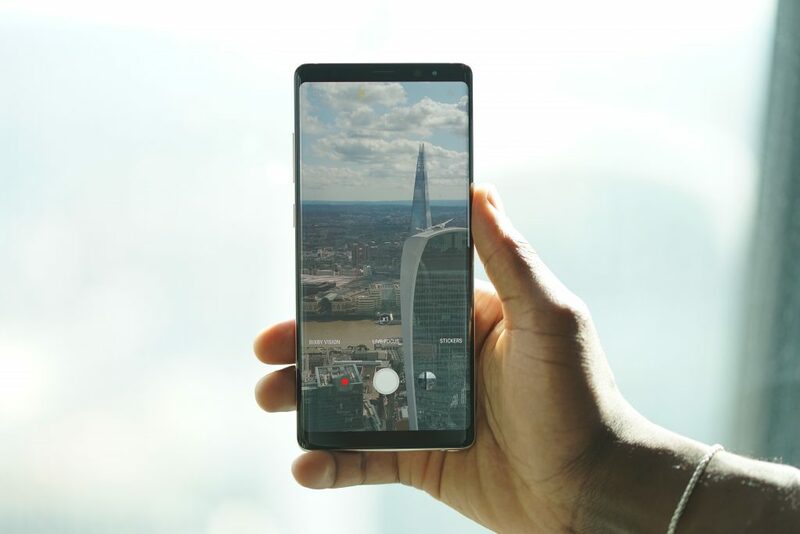 With the Galaxy Note8, you get a bigger Infinity Display – similar to that of the Galaxy S8 and S8+ – that fits comfortably in one hand, S Pen to communicate in more personal ways, and Samsung’s best-ever smartphone camera to capture stunning photos. it to friends, and 75 percent say it’s the best phone they’ve ever had. enable users to express themselves in ways that no other stylus or smartphone ever has. with the S Pen—adding lively and emotional connections that bring your messages to life. their phone. And with the Galaxy Note8, it’s even more powerful. Screen off memo allows you to take up to one-hundred pages of notes as soon as you remove the S Pen, pin notes to the Always On Display and make edits directly from the Always On Display. sentences in up to 71 languages, and instantly convert units and foreign currencies. around your back garden, OIS lets you capture sharper images. field by allowing you to adjust the bokeh effect in preview mode and after you take the photo. clearer shots even in low-light environments. 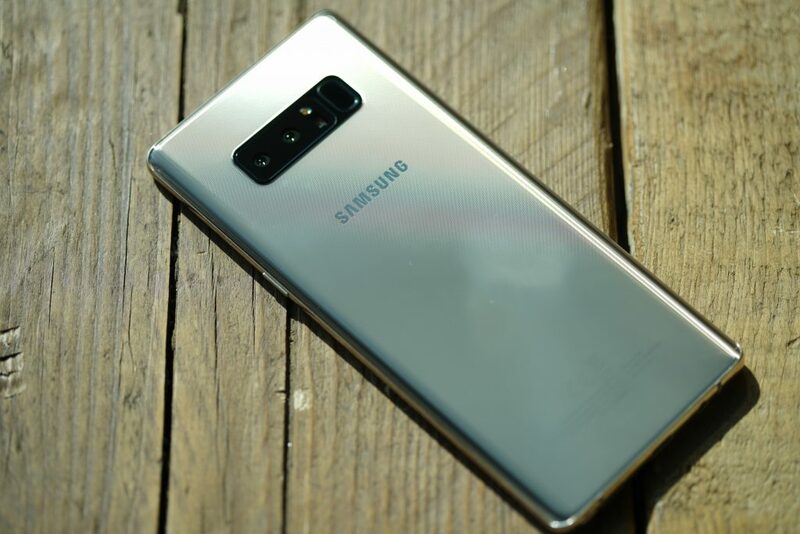 The Galaxy Note8 is also equipped with an 8MP Smart Auto Focus front-facing camera for sharp selfies and video chats. The Galaxy Note8 has the biggest screen ever on a Note device, yet its narrow body makes it comfortable to hold in one hand. The 6.3-inch Quad HD+ Super AMOLED Infinity Display lets you see more and scroll less. The Galaxy Note8 gives you more room to watch, read and draw—making it the ultimate multitasking smartphone. number and agenda in front of you. It’s water and dust resistance with IP68 rating on the device and the S Pen. The Galaxy Note8 supports wireless charging so you can get a quick, convenient charge without having to mess around with ports or wires. 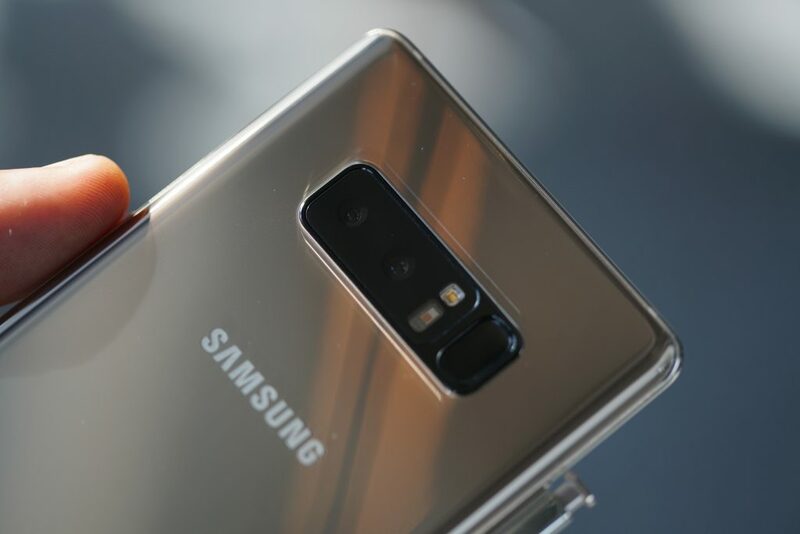 The Note8 offers a choice of biometric authentication options—including iris and fingerprint scanning. Samsung Knox provides defence-grade security at the hardware and software layers and with Secure Folder, keeps your personal and professional data separate. With 6GB RAM, a 10nm processor, and expandable memory (up to 256GB), you have the power you need to browse, stream, play games, and multitask with no hiccups. Samsung DeX enables a desktop experience, powered by your phone. You can keep your files on your device, conduct work on the go, and use Samsung DeX when you need an even bigger screen. The Galaxy Note8 includes Bixby, a smarter way to use your phone; it learns from you, improves over time, and helps you get more done. What about the Note 7 issues, should you be concerned? UK pre-orders start today (23rd Aug) from Samsung.com/uk, select operators, and retailers until the 14th of September. If you pre-order from select retailers, you also receive Samsung DeX station. 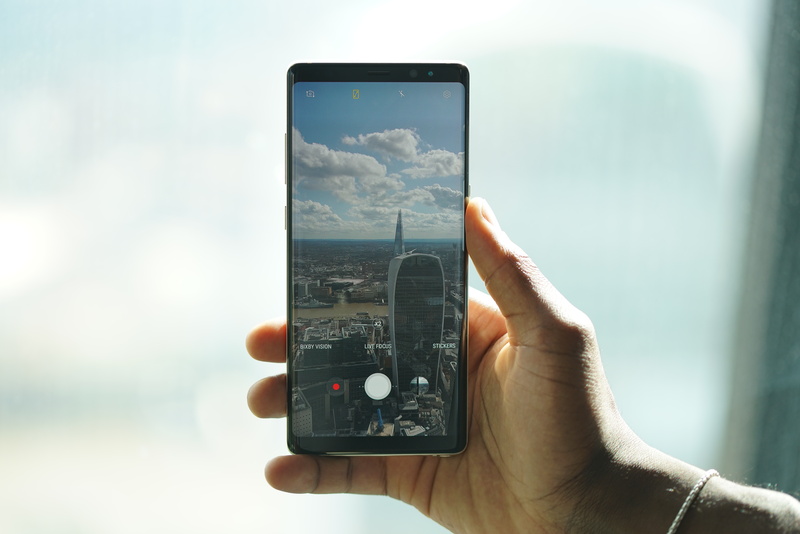 If you miss out on the pre-order schedule, you can pick up the Galaxy Note8 on the 15th of September in the UK.